This is a pack that is FULL of awesome commercial use goodies to use for St. Patrick's Day. It is sized for tagger, but some can be used for full size. 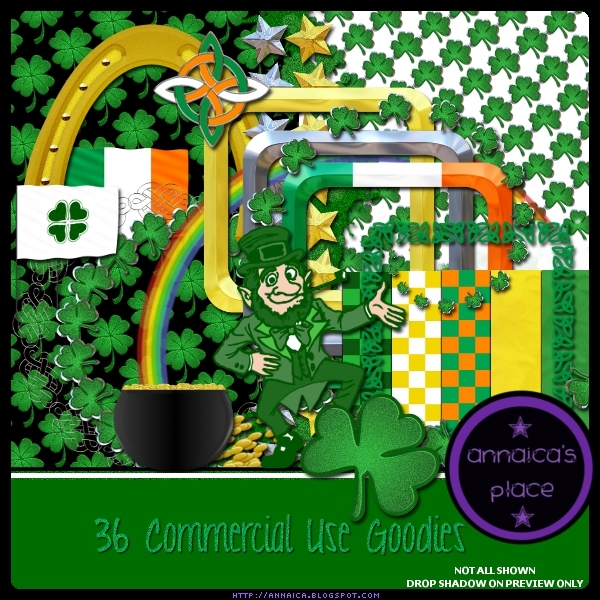 It has 4 psd templates- a clauddagh symbol and clauddagh ring, a pot of gold and a horseshoe for you to fully customize. 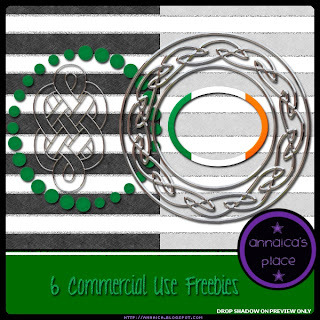 And I threw together a few freebies for you also!!! These all can be used for personal or commercial use, just follow the TOU. Click the preview above to download a copy for yourself. Love it but it says The user hosting this content is out of bandwidth.